Request a copy of your Senior Certificate and National Senior Certificate (your matric/Gr12). Verify my qualifications or achievements on the NRLD database Individuals. Verify my qualifications or achievements on the NRLD database Public Sector Clients. Verify my qualifications or achievements on the NRLD database Private Sector Clients. How can I check if the courses I have completed have credit towards a Qualification?. What should learners know before enrolling for a study programme or qualification?. Umalusi for the verification of my certificates?. How do I verify my certificate for overseas study?. If the certificate was issued before September 1992, it can be verified by the Department of Basic Education on 012 357 3900, or any Provincial Department of Education. Umalusi is responsible for the replacement of the Senior Certificate and National Senior Certificate as from September 1992. Applications forms must be completed taking care of the detail required, e.g. year qualifications obtained, surname and names under which the person qualified for the certificate and where possible the school name. Applications for lost certificate / re-issues can be done at any of the Departments of Education, irrespective of where you wrote your matric, for example, if you have written the exam in a school in Eastern Cape, you can approach the Mpumalanga Department of Education for a replacement certificate. An affidavit – All applications for replacement of lost/damaged certificates should be accompanied by a signed affidavit from a police station stating the status of the original certificate e.g. stolen; lost in a move. It should be noted that the previous certificate is cancelled when a replacement certificate is issued. Proof of payment of administration fees – An administration fee is payable with a request for a certificate. The fee payable can be established with the accredited assessment body. The fee is reviewed on an annual basis. A certificate cannot be issued on the same day that the application is submitted. The processing time is 4 – 6 weeks under normal circumstances. A request for replacements for certificates obtained prior to November 1992 can be made from the office of any of the Departments of Education and the same procedure followed. No. Surname Name Organisation Email Telephone No. 3. Verify my qualifications or achievements on the NRLD database Individuals. You can verify your educational Qualifications on the National Learners` Records Database (NLRD) at the South African Qualifications Authority (SAQA). If you are an employer, you can also confirm the Qualifications of your employees on the database. If you check your own information, you receive the full record of what the NLRD holds concerning you. When other parties verify your information as a learner, they must give an exact query (which Qualification, Institution and date). SAQA`s response is either “found” or “not found” concerning that information only. A small amount of information from 1964 back to 1900. Information from 2009 and 2010 is currently being loaded, and can be verified against the unaudited dataset that is held separately from the NLRD itself. Senior Certificate achievements from 1992 to 2010. Achievements submitted by Education and Training Quality Assurance bodies (ETQAs). Please note: the transcript is for your own information. It does not replace SAQA’s usual verification process and reports. It is not a verification statement in terms of the Public Service directive, and it should not be attached to job applications. Should there be no information, you can contact the NQF and Career Advice Services on help@careerhelp.org.za with scanned copies of your certificates for further information. 4. Verify my qualifications or achievements on the NRLD database Public Sector Clients. The SAQA Verifications Service is available for the verification of qualifications achieved at South African providers as recorded on SAQA’s National Learners’ Records Database (NLRD). The verification of short courses, foreign qualifications and professional designations is not part of the SAQA Verifications Service. The information available here is for Public Sector Clients. 5. Verify my qualifications or achievements on the NRLD database Private Sector Clients. The information available here is for Private Sector Clients. 6. How can I check if the courses I have completed have credit towards a Qualification? Students, parents and learners need to make sure that schools where they register their children are fully registered with the South African Qualifications Authority and the Department of Higher Education and Training (DHET). To do this‚ students are advised to check the registration certificate of that institution. This certificate‚ issued by the DHET‚ must be able to clearly show all the programmes each institution is accredited to offer. If there is a programme that is not included in that certificate but which the institution promises to offer‚ students must know that they are being conned. 7. What should learners know before enrolling for a study programme or qualification? 8. Umalusi for the verification of my certificates? Please note that Umalusi does not work directly with members of the public with regard to verification services. Individuals should apply through a verification agency for verification services. Please visit our website at www.umalusi.org.za under the verification heading for the names of agencies that have contracts with Umalusi. There are a number of other verification agencies which are not listed, but which have contracts with Umalusi, that can also be contacted. You are not limited to using an agency listed on the website. Please note: Agencies charge varying fees for verification services. You are therefore advised to request prices from more than one agency before requesting the verification of your qualifications. 9. How do I verify my certificate for overseas study? Please send an e-mail to verification@umalusi.org.za or telephone 012 349 1510 for particulars on how to go about this, as these can differ. TRAINYOUCAN Accredited Training Network strives to deliver the highest level of service delivery and 100% compliance with SAQA and the ETQA’s (SETA) guidelines and policies. Not only does this add extra creditability to our brand, but also to the learner satisfaction and competency to perform the actual task. 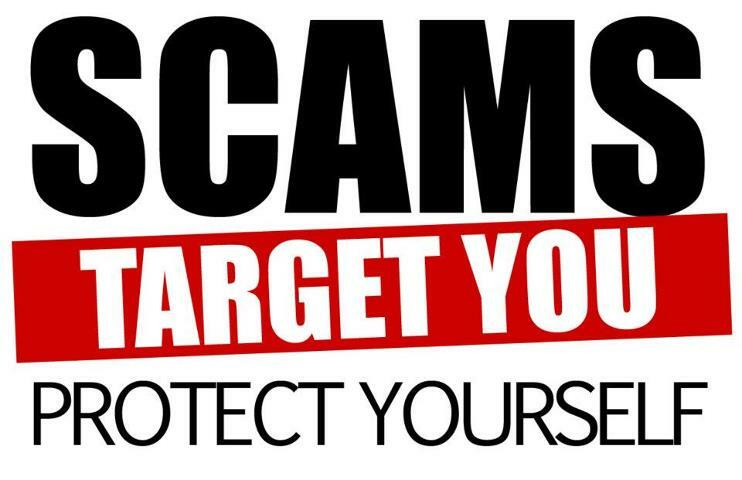 We at TRAINYOUCAN Accredited Training Network do not want to be associated with any of the common Training Provider Scams and Fraud and will never entertain any related discussions at any point in time. 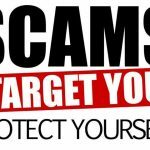 Don’t get caught with the most common training scams and fraud! SAQA Policy 2003: The National Qualifications Framework and the Standards Setting; reference to page 9, “Credit system”. ‘Notional hours of learning’ refers to the learning time that it would take an average learner to meet the outcomes defined, such as: contact time, time spent in structured learning in the workplace, individual learning and assessment. Delivery. (Typical contact session + formative assessments). National Qualifications Framework Act, 2008 (Act 67 of 2008) – NQF Objectives. Accelerate the redress of past unfair discrimination in education, training and employment opportunities. The objectives of the NQF are designed to contribute to the full personal development of each learner and the social and economic development of the nation at large. SAQA Guidelines: Criteria and Guidelines for the Accreditation of Providers, 01 October 2001, page 25, section 3.D.iii in respect of: Policies and practices for learner entry, guidance and support systems. Understanding the different definitions of “accreditation” including (a) a persons accreditation, (b) a Training Providers accreditation or (c) the Learning Programmes accreditation. Notional learning hours are the estimated learning time taken by the ‘average’ student to achieve the specified learning outcomes of the course-unit or programme. They are therefore not a precise measure but provide students with an indication of the amount of study and degree of commitment expected. No reference on the SAQA policies or guidelines found, but general good practices for operation and authentication should be used. The only reference found as the criteria SAQA provides on the information that should appear on the certificate that is in direct conflict of issuing certificate with reference to the in-appropriate use of NQF, Credits, Unit Standards and ETQA or SAQA logos. has not already been granted accreditation by another ETQA. Provisional accreditation: “Granted for an agreed, limited period of time according to an agreed programme of development to enable full accreditation criteria to be met, provided the interests of the learner are protected” (SAQA, 2001a:11). Full Accreditation: “The certification, usually for a particular period of time, of a person, a body or an institution as having the capacity to fulfil a particular function in the quality assurance system set up by the South African Qualifications Authority in terms of the Act” (SAQA, 2001a:17). SAQA Guidelines: Criteria and Guidelines for the Accreditation of Providers, 01 October 2001, page 26, section 3.D.iv in respect of: Policies and practices for managing off-site practical or work-site components. Integration; To form part of a system of human resources development which provides for the establishment of a unifying approach to education and training. Relevance; To be and remain responsive to national development needs. Credibility; To have international and national value and acceptance. Coherence; To work within a consistent framework of principles and certification. Flexibility; To allow for multiple pathways to the same learning ends. Standards; To be expressed in terms of a nationally agreed framework and internationally acceptable outcomes. Legitimacy; To provide for the participation of all national stakeholders in the planning and co-ordination of standards and qualifications. Access; To provide ease of entry to appropriate levels of education and training for all prospective learners in a manner which facilitates progression. Articulation; To provide for learners, on successful completion of accredited prerequisites, to move between components of the delivery system. Progression; To ensure that the framework of qualifications permits individuals to move through the levels of national qualifications via different appropriate combinations of the components of the delivery system. Portability; To enable learners to transfer credits of qualifications from one learning institution and/or employer to another. Recognition of Prior Learning; To, through assessment, give credit to learning which has already been acquired in different ways. Guidance of learners; To provide for counseling of learners by specially trained individuals who meet nationally recognized standards for educators and trainers. Practical competence; The demonstrated ability to perform a set of tasks in an authentic context. A range of actions or possibilities is considered, and decisions are made about which actions to follow. Foundational competence; The demonstrated understanding of what the learner is doing and why. This underpins the practical competence and therefore the actions taken. Reflexive competence; The demonstrated ability to integrate performance with understanding, so as to show that the learner is able to adapt to changed circumstances appropriately and responsibly, and to explain the reason behind an action. SAQA Policy: Criteria and Guidelines for Assessment of NQF Registered Unit standards and Qualifications; Formative and Summative Assessment. In knowledge and inputs-based systems, this usually occurs after a specified period of study. SAQA Policy: Criteria and Guidelines for Assessment of NQF Registered Unit standards and Qualifications; Formative Assessments leads to Summative Assessments. Results initially collected as results for formative assessment, can be used for summative assessment with the agreement of the learner. This will prevent having to assess outcomes twice. The organization of the learning programme will inform decisions on when summative assessments can take place, e.g. a learning programme can be organized around one outcome or a set of outcomes, depending on what is appropriate in terms of ensuring learner success. Summative assessments are administered when a learner has gone through such a programme and is ready to be assessed. On declaration of competence, credit is then given, recorded and reported. Does the evidence relate to the specific outcomes and criteria to be assessed? Evidence is not automatically valid (or invalid) – evidence should be appropriate to hat is being assessed. Can the evidence be attributed to the learner? Is the evidence the learner’s own work? In written assessments, safeguards against dishonesty have long been in place. In BET, there is no difficulty in checking authenticity where the assessor is observing the learner directly. However, where indirect evidence is produced, or where group work was undertaken, the assessor has to verify that the evidence is the learner’s own work, and in the case of group work, that he/she has made a fair contribution to the end-result. Is there enough evidence to meet all the criteria needed to certify the learner as competent? Is the assessor confident that the performance can be repeated? The use of various sources of evidence and a variety of assessment activities assist in ensuring that the evidence is sufficient. This will ensure that enough evidence is provided to meet all the criteria and the applicable range statements. Is the evidence related to current competence? Currency refers to the applicability of skills, knowledge and understanding in the present circumstances. In some fields of study, currency of experience and training is of the utmost importance. the rationale for assessments at certain points in the learning programme (formative or summative), i.e. will learners be at a logical end-point of learning, or at a point where diagnosis needs to be made?